I hope you are all doing well and have had a fabulous week! Yay, it's finally the weekend and i have an excited post to share with you all. 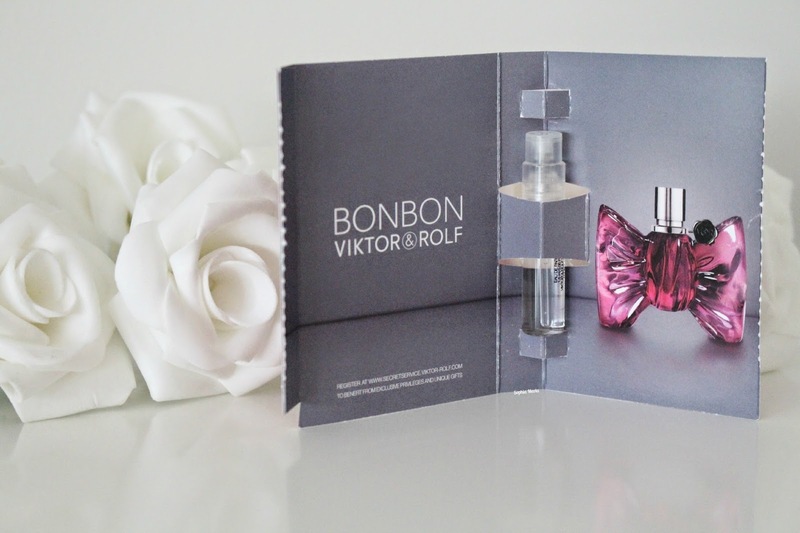 Recently i was asked by the lovely Codie-Leigh who is the Milton Keynes Account Manager for L'Oreal Designer Fragrances who also writes a blog herself which you can take a peek at here, to attend a launch of the ever so gorgeous Viktor & Rolf BonBon. Be prepared, this blog post is going to be picture heavy! Viktor & Rolf is a fragrance brand i haven't delved much into but i would love to own their entire fragrance line because they are simply stunning. 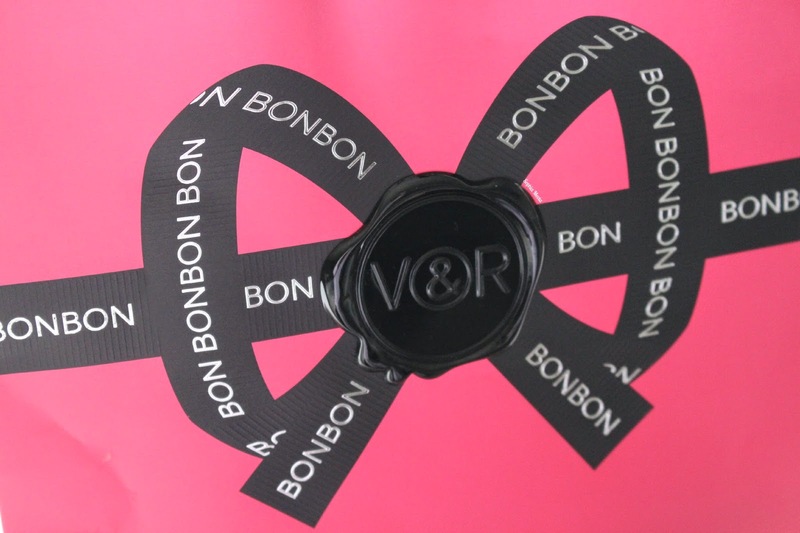 Viktor & Rolf fans are going to be absolutely delighted at the arrival of the second female fragrance from the duo which has been named BONBON. What a fun name right?! 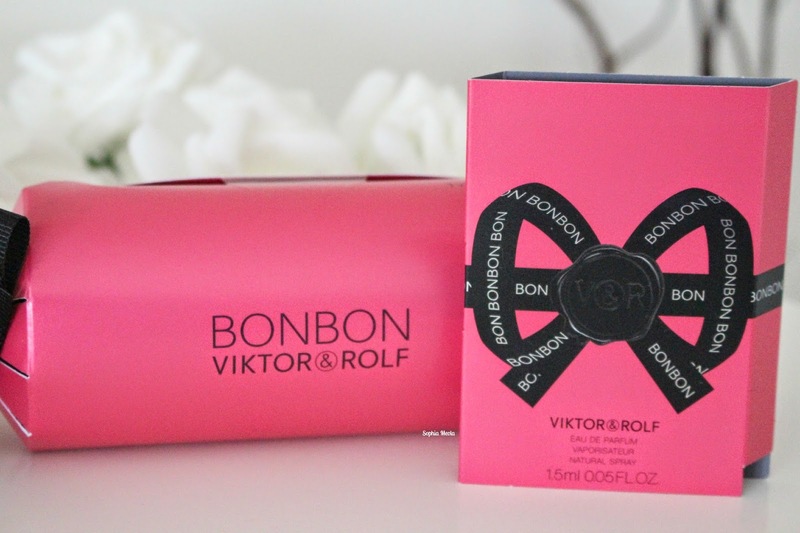 Viktor & Rolf have taken the fragrance world by storm since the release of their first fragrance, Flower Bomb and i am sure BONBON is going to be an even bigger hit too. I know it had previously launched exclusively at Selfridges but now it's Debenhams turn as they are the exclusive stockist for Milton Keynes and have a gorgeous display stand designed specifically for the launch…i've seen it and its gorgeous! 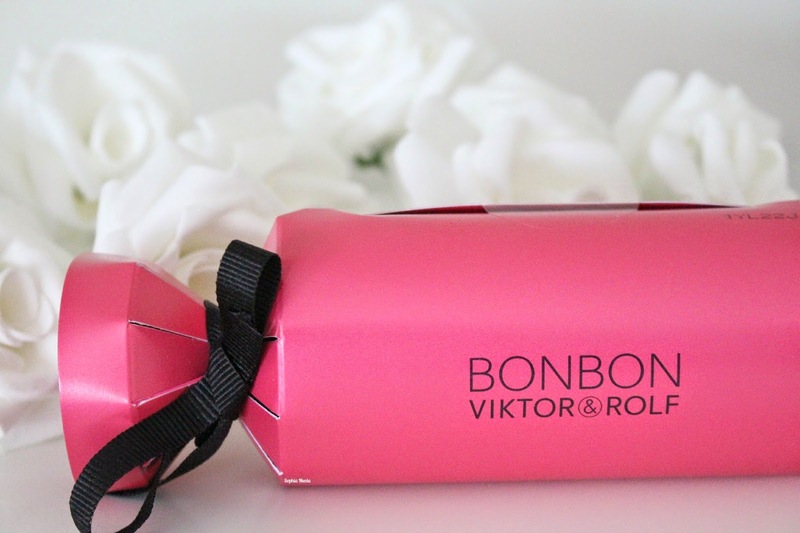 BONBON is an almost edible fragrance which has been composed of sparkling, effervescent mandarin and orange slices, crystallised cracking shards of caramel wrapping succulent fruit. The sweetness of paradise peach flirts tenderly with supple caramel notes, adoring the roundness of the peach's fleecy surface. Sun-filled jasmine is sustained by orange blossom whose sweet flavour compliments the soft, sweet scent of caramel. Finally, guaiac and sandalwood blend into the base notes to achieve a surprising balance between the smooth, creamy, milky cedarwood notes and upright stronger and darker notes of woody amber. 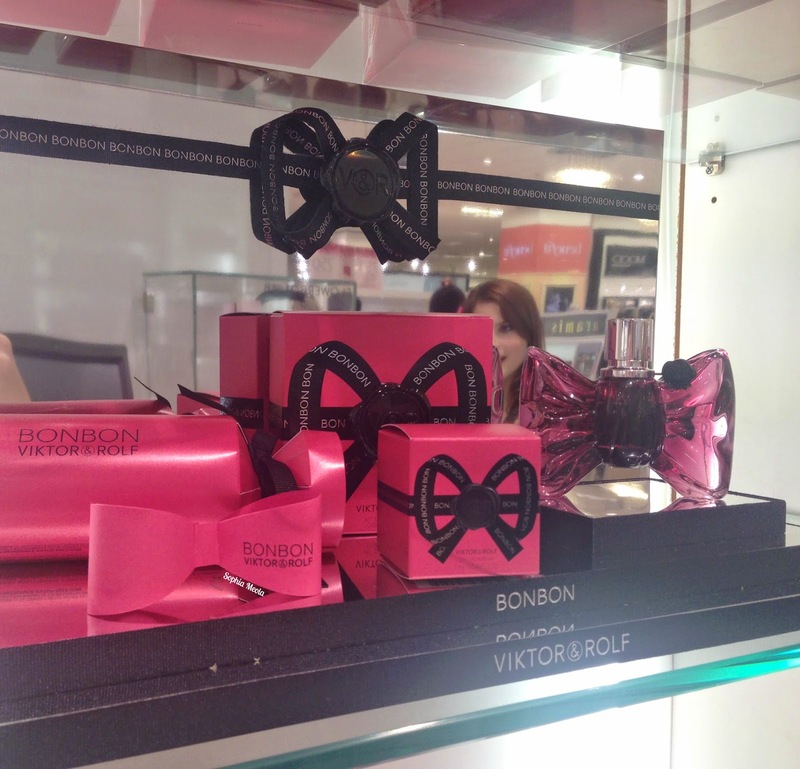 The packaging itself is a gorgeous pink bow which has been crafted to perfect. I adore how Viktor & Rolf always pay specific attention to detail with all of their perfumes and add a little tag to each and every bottle. As previous architects they design their perfume bottles themselves and makes it stand out as a piece of art work. I absolutely adore this little fact and i always having a bottle of perfume on display…i think perfume bottles in general can be so pretty! Codie-Leigh very kindly supplied me with some BONBON 'Discovery Packs' which you can see in the pictures. I have been using he scent everyday and i have to say it is a gorgeous candy scent which really lasts on the skin. I will definitely be adding this fragrance to my collection (I am obsessed with perfume) and i will be heading over to see Codie-Leigh when i do. I hope you enjoyed this post! If you are tempted about the BONBON launched and are close by Milton Keynes i highly recommend you stop by and speak to Codie-Leigh about the launch. Like always lovelies, if you have any questions, requests or if you just want a chat you can contact me on my social media or leave me a comment below. I love hearing from you all and i make sure to read every single comment…they really make my day! I smelt this the other day, it's gorgeous!! I'm not the hugest fan of Flowerbomb but I smelt this the other day and fell in love! Definitely one for my 'wants' list! The packaging itself is too pretty! This bottle is gorgeous and their fragrances are dreamy - I'll definitely have to try this. Everything about this is beautiful. I love the packaging shape and whole aesthetics!